by GRAHAM SWIFT | Literature & Fiction | This book has not been rated. From the Booker Award winner: a luminous, profoundly moving work of fiction that begins with an afternoon tryst in 1924 between a servant girl and the young man of the neighboring house, but then opens to reveal the whole life of a remarkable woman. Twenty-two-year-old Jane Fairchild, orphaned at birth, has worked as a maid at one English country estate since she was sixteen. And for almost all of those years she has been the secret lover to Paul Sheringham, the scion of the estate next door. On an unseasonably warm March afternoon, Jane and Paul will make love for the last time--though not, as Jane believes, because Paul is about to be married--and the events of the day will alter Jane's life forever. As the narrative moves back and forth from 1924 to the end of the century, what we know and understand about Jane--about the way she loves, thinks, feels, sees, remembers--deepens with every beautifully wrought moment. 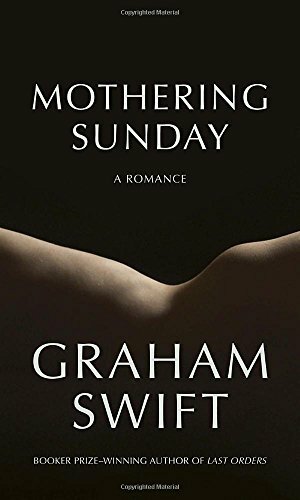 Her story is one of profound self-discovery and through her, Graham Swift has created an emotionally soaring and deeply affecting work of fiction. I might have to add this to my reading list - this looks like a very interesting tale! This copy sourced via Better World Books is on its way to another BCer - I hope you enjoy it. A curiosity: I'm currently reading Heart of Darkness! Off to the next reader. Enjoy! Thanks, Haugtussa, for sending this to me - I remembered that I wanted to read this after you had put this on your wishlist. Now I have that chance! Thanks again for this birthday RABCK (which arrived today).